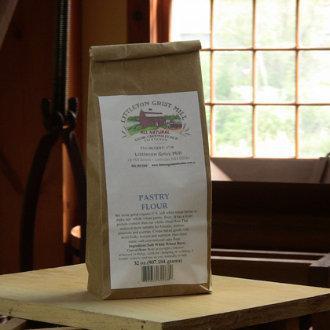 Our stone-ground white wheat pastry and spelt flour is made from U.S. soft white wheat berries and spelt berries. It is partially sifted to remove some larger bran pieces. It has a lower protein content than our whole wheat flour which makes it more suitable for biscuits, cookies, pie crusts, and pastries. Create baked goods with more body, texture, and nutrition than those made with conventional cake flour. Try this new blend for your baked goods.